The printed images in early modern books are a visual delight, but many also add key information and a different or unique perspective. Curated by Caroline Duroselle-Melish, the Folger's curator of early modern books and prints, Beyond Words includes more than 80 illustrated books and prints from the Folger collection from the 15th to 18th centuries—many of which have rarely been displayed before. 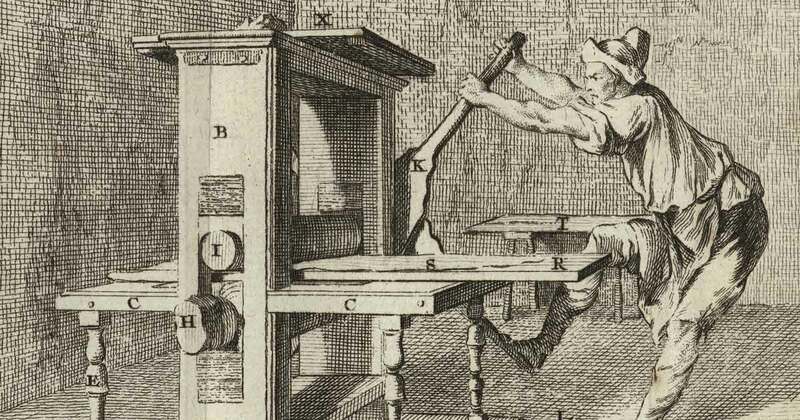 Video and period illustrations show how images were made and printed. Astoundingly, Beyond Words even includes the woodcut and copper plate from which two of the prints were produced. This etching depicts the printing of an intaglio image on a rolling press. The richly varied illustrations open a window on the early modern age, from contemporary events and observations of daily life to allegorical figures, guides to dancing and sewing and other how-to books, and much more. Among several insightful portraits is a print of an Ethiopian abbot—a rare image of an African scholar of the time. Another picture shows us sunflowers from Peru, with Aztec-language labels. Still another illustrates the ideas of the real-life French alchemist Nicolas Flamel. Including printed images in books was costly. Still, the prints helped to sell books, as they do today, and often provided vital information. 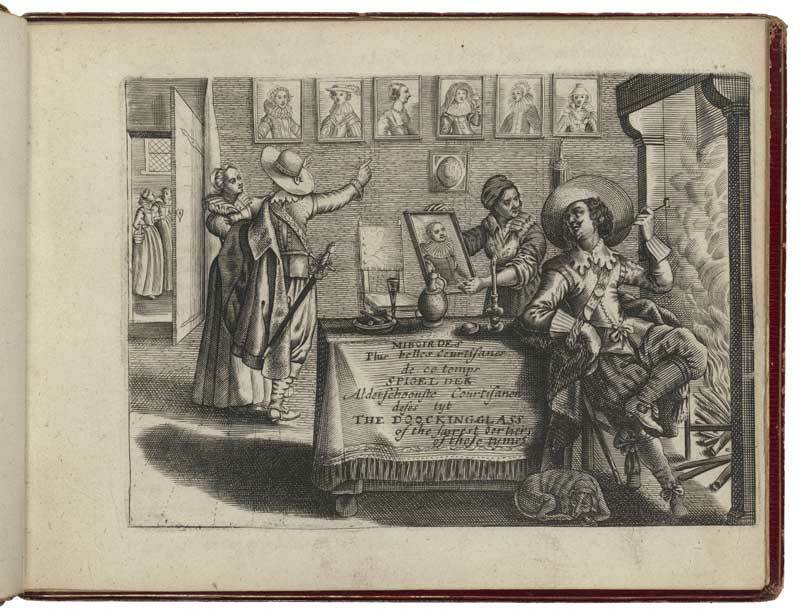 Frontispieces introduced books to potential buyers, and other images offered useful explanations, sometimes paired with text that was printed on or near the pictures. The use of color could simply be appealing or it could be a key element in understanding the meaning of the image. Many images, of course, presented purely visual information that could not be expressed in words, from observations of animals and plants to detailed maps and diagrams. Beyond Words includes works by many European artists, among them Wenceslaus Hollar, Marcantonio Raimondi, and Hans Baldung Grien. It also has an especially strong Dutch presence, reflecting the publishing role of Amsterdam and Antwerp. Among the Dutch materials are an illustrated "college catalog" for the University of Leiden; works by the Dutch artists Theodor de Bry, Romeyn de Hooghe, and Crispijn van de Passe; and observations of nature by the Dutch merchant Antoni van Leeuwenhoek, made with the microscope he perfected. Beyond Words also has two works by the Flemish engraver Martin Droeshout, including his portrait of Shakespeare in the 1623 First Folio—one of the best-known book illustrations of the early modern age. This woodcut, depicting a type of lettuce, was printed from the woodblock that appears next in this gallery. The inked black lines visible under the hand coloring correspond to the uncut areas in relief on the block. 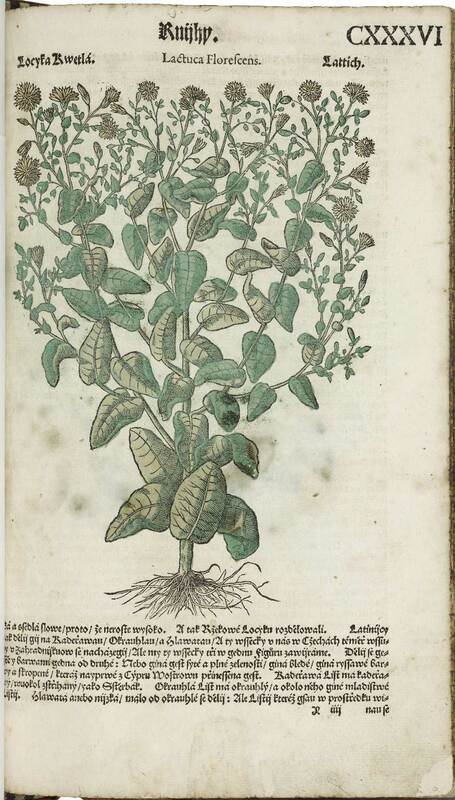 The hand coloring was likely made for or by an early owner of this 1562 Czech edition of Pietro Andrea Mattioli’s famous herbal. 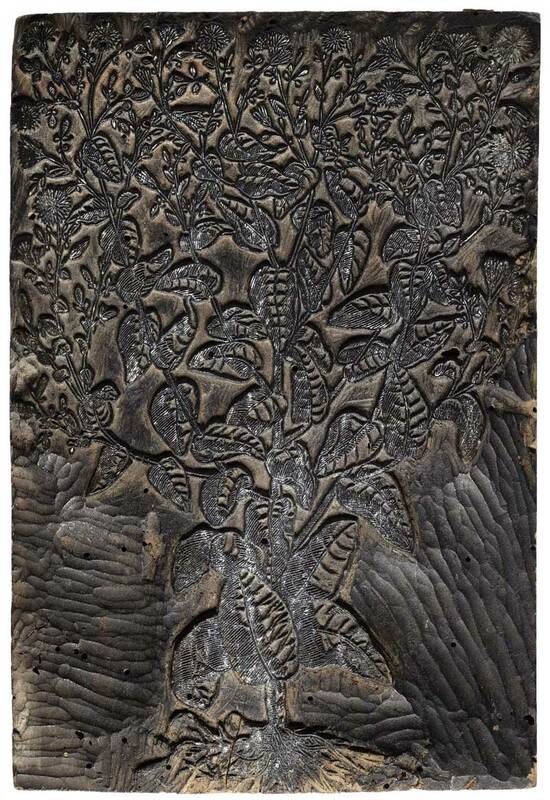 This woodblock was used to print the lettuce image included in this gallery. A draftsman first made a detailed drawing on the surface of the block. This guided the work of the cutter, who carved out the areas between the drawn lines, leaving them to be printed in relief. Such a detailed design required extreme precision. When the lettuce image was no longer needed, a portrait was cut into the back of the block for use in another book. 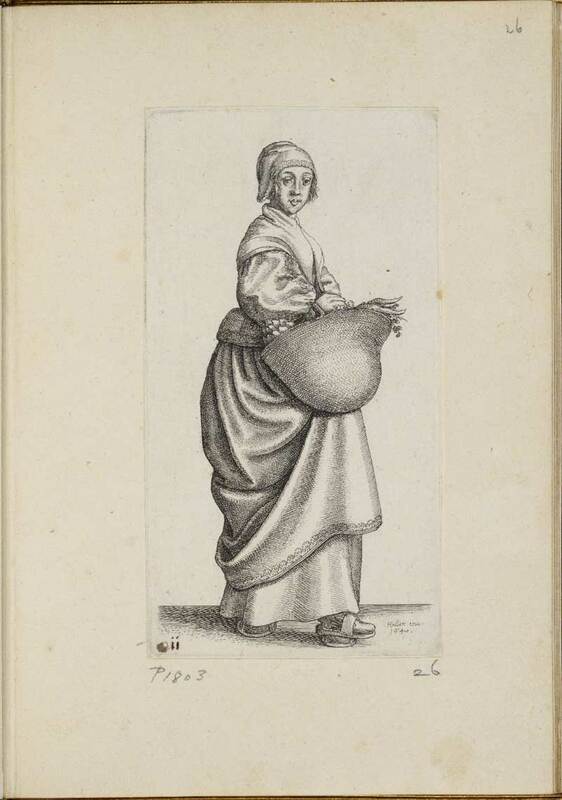 This etching belongs to a set of twenty-six prints by Bohemian printmaker Wenceslaus Hollar, depicting fashionably dressed women. Hollar produced several series of such prints, a genre that had become popular in England earlier in the seventeenth century. The maid in this image is the only woman of lower rank portrayed in the series, and perhaps reflects a rising interest in depicting working people. By placing the North Pole at the center of his projection chart of the North Atlantic, Luke Foxe avoided the distortion of coastlines near the pole visible in other projection maps, which take their measurements from the equator. 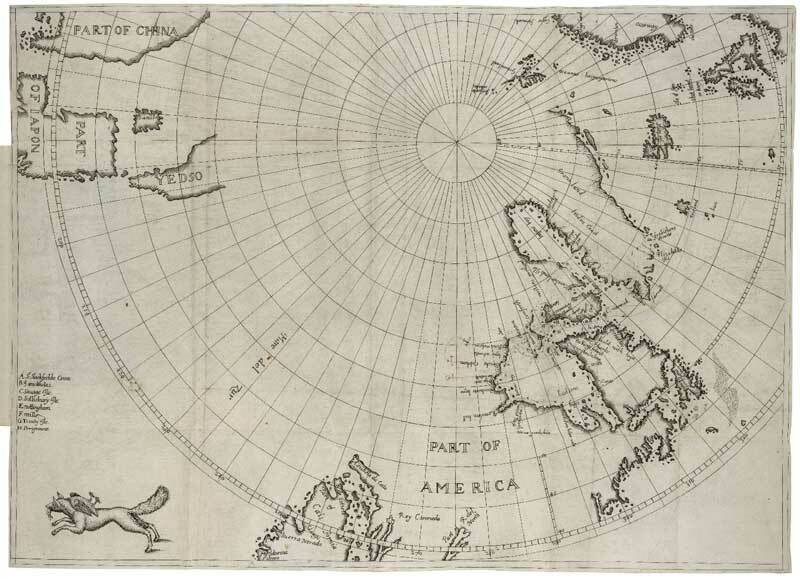 This engraved map from 1635 shows Foxe’s attempt to find a northwest passage to Asia. The search for a route to reach the spice markets in Asia without going across the American continents led to several expeditions in the late 1500s, which were recounted by Foxe before the report about his own trip, and his discovery of uncharted parts of Hudson Bay. More than his text, Foxe’s map was regarded as the most valuable part of his book. 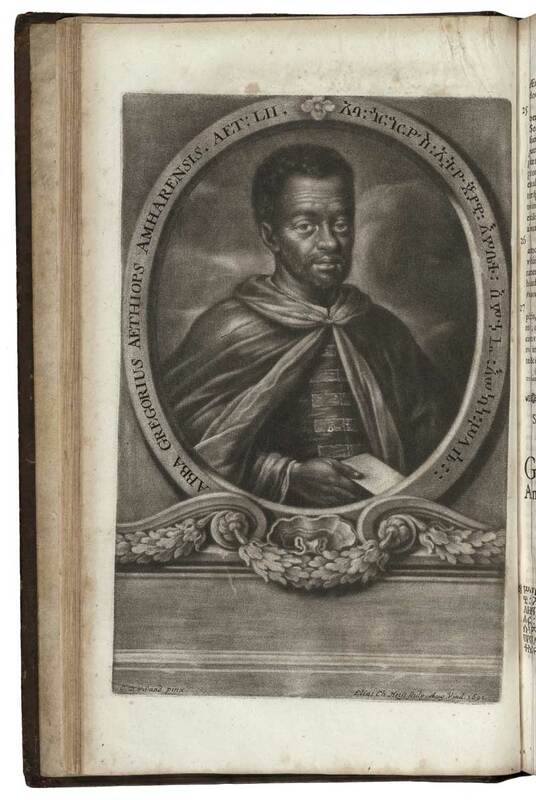 This portrait of Ethiopian cleric Abba Gregory is a rare image of an early modern African scholar. It was included in a book by the German scholar Hiob Ludolf, on Ge’ez—an ancient Ethiopian language—and on Ethiopian customs. In his book, Ludolf included information provided by Gregory, and described the abbot’s life, praising him for his learning. Ludolf’s inclusion of Gregory’s portrait shows his admiration. This portrait is mezzotint print, made with a different intaglio technique than the ones used for engravings and etchings. Bosse, Abraham, 1602-1676, author, printmaker. In the first edition of his manual on intaglio printmaking, published in 1645, Abraham Bosse included duplicate impressions of several of the plates so that they could be viewed facing the text when it ran on to another page. In this later edition, published in 1745, the plates are printed with wide, blank margins so that readers can view them while turning the pages. 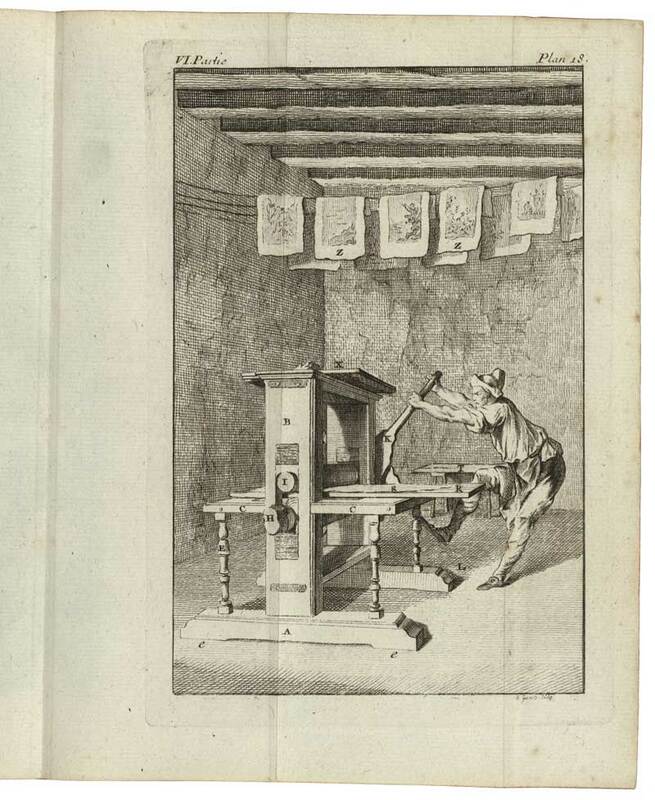 This etching depicts the printing of an intaglio image on a rolling press. Freshly made impressions hang to dry behind the printmaker. Passe, Crispijn van de, 1565?-1637, artist. Many of the women portrayed in this 1631 volume are fashionably dressed, but the text makes it clear that they are courtesans. The engraving also leaves no doubt as to the clientele of the book: male customers buying art as a substitute for physical companionship. Several trilingual editions were made throughout the eighteenth century by copying earlier versions; this one copied a 1630 edition. They were published anonymously, due to their overtly sexual content. Folded plates were a means to include larger images in books. Six large etchings were folded and inserted in this 1690 libretto for a ballet created for the Duke of Parma’s wedding. 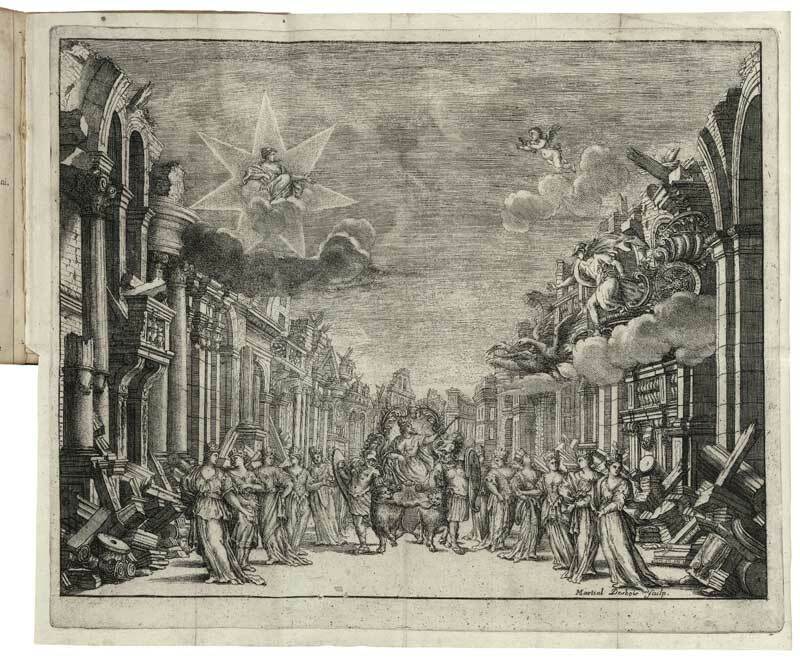 The size of the prints reflects the magnificence of the stage designs created by the Bibiena brothers—two of the most prominent theater artists of the time. Mercury and a cherub were suspended in the air while Venus, the goddess of love, moved among the ruins of a palace. Pinder, Ulrich, -1510 or 1519, author. In this opening from Ulrich Pinder’s 1506 Epiphanie Medicorum, the woodcuts on both pages have been hand-colored. 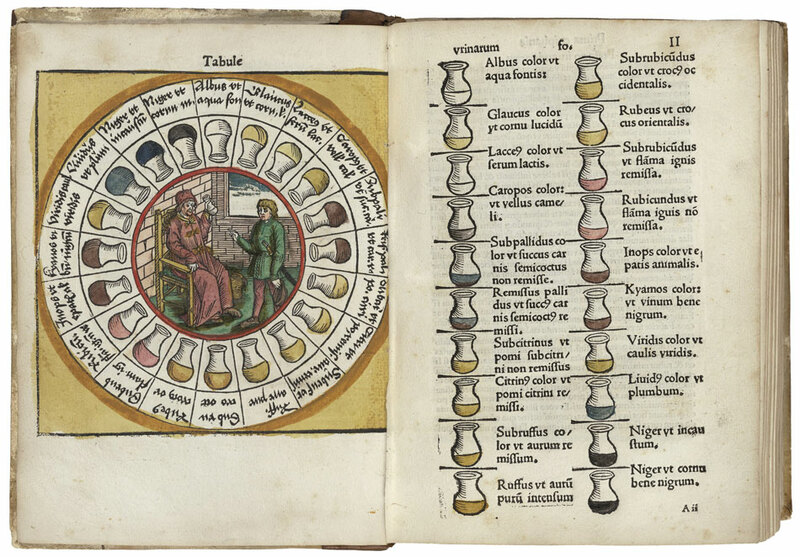 To understand the wheel with urine-filled flasks on the left page, readers had to refer to the chart on the right, showing the name of the disease associated with each colored flask. Coloring on both pages would have been crucial for making a correct diagnosis, based on a patient’s urine. In this copy, the lack of nuanced colors would have hindered such interpretation. Caroline Duroselle-Melish is the Andrew W. Mellon Curator of Early Modern Books and Prints at the Folger Shakespeare Library. She has co-curated several Folger exhibitions, including Age of Lawyers: The Roots of American Law in Shakespeare’s Britain and First Folio! Shakespeare’s American Tour. Duroselle-Melish has worked with a wide range of collections in university and independent rare book libraries. 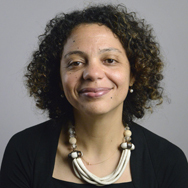 Most recently, she was Assistant Curator at the Houghton Library, Harvard University. She has published on a range of topics associated with early modern book printing and printmaking.